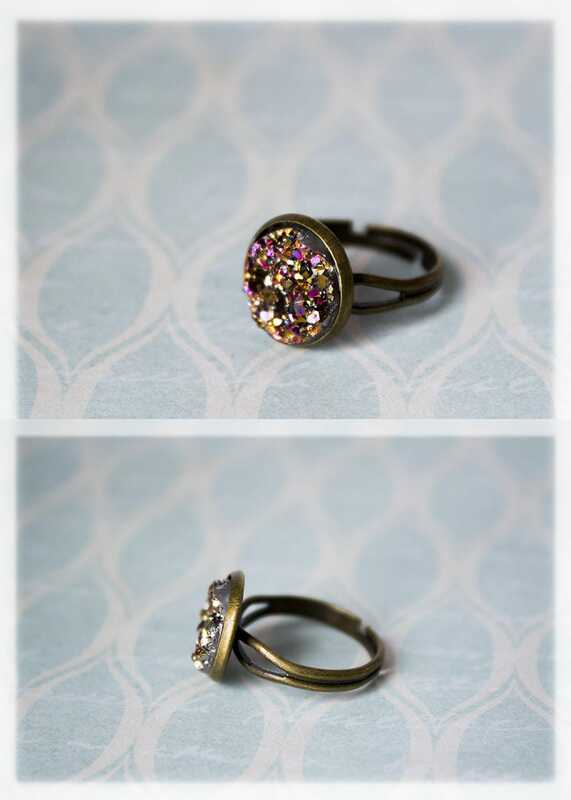 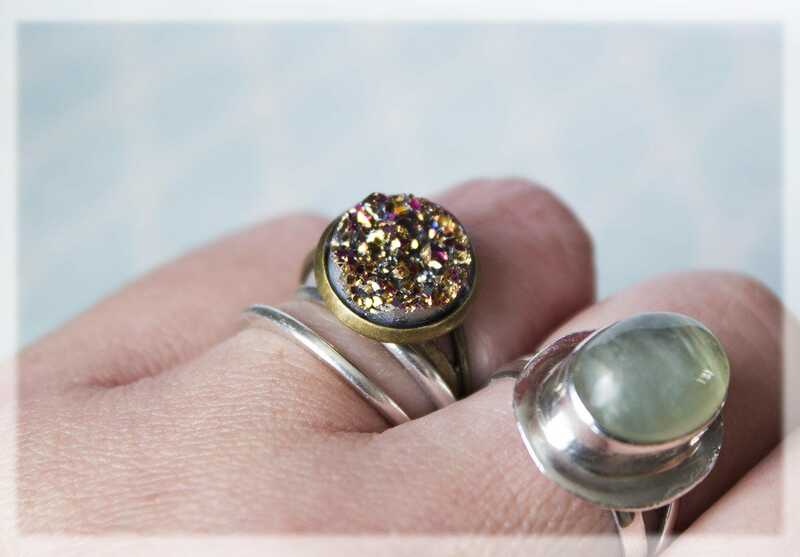 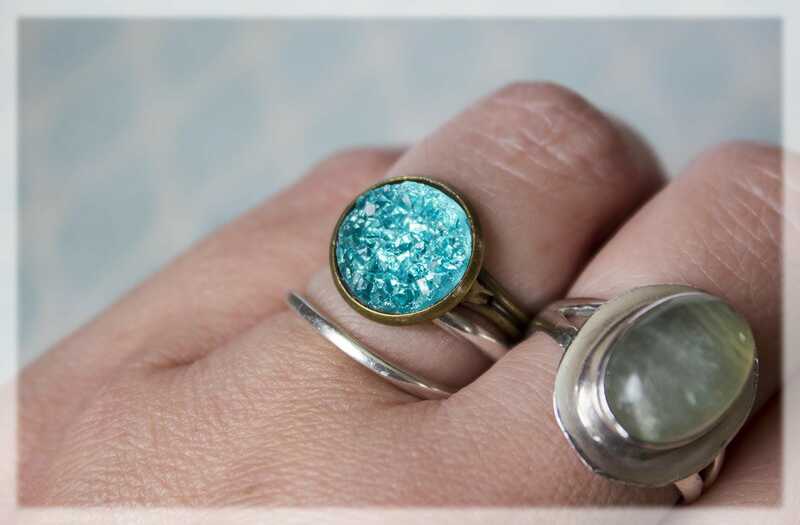 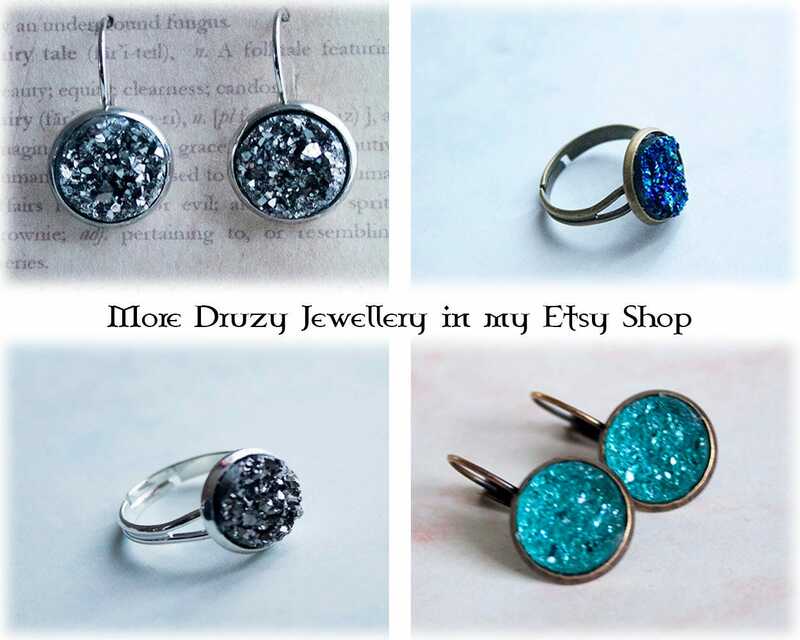 Enchanting glittering druzy crystal antique bronze rings , hand crafted in my magical faery studio. 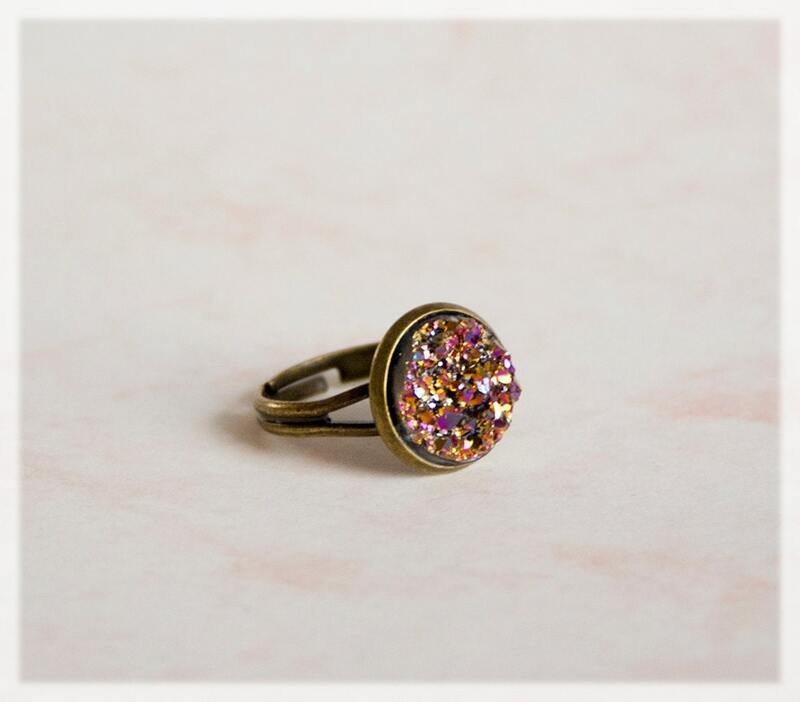 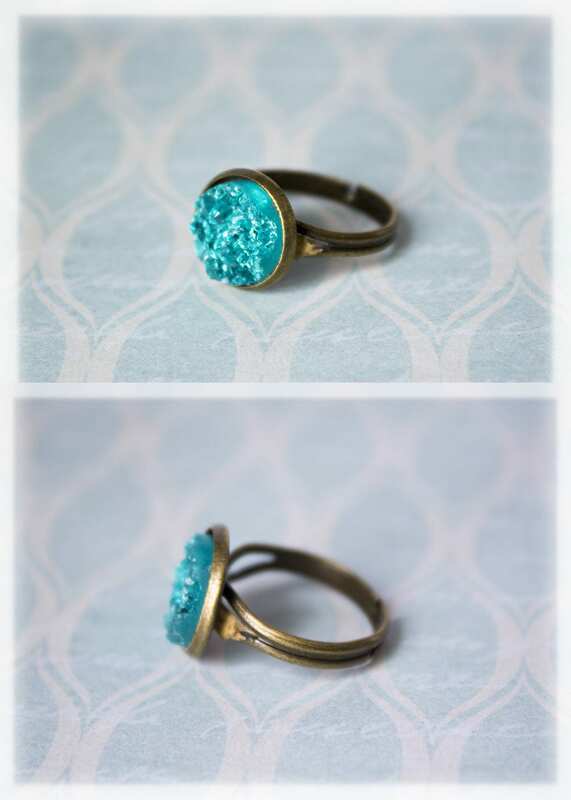 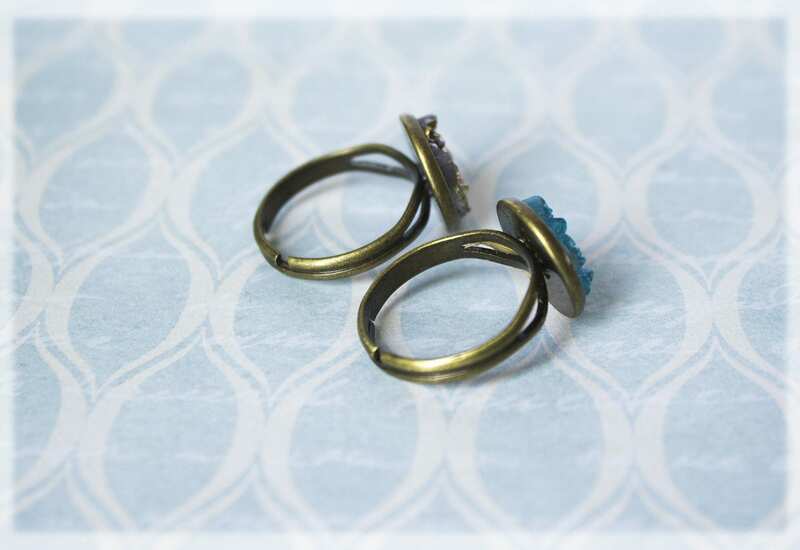 The magical rings have a small mermaid cabochon flat back resin druzy embellishment set in an antique bronze tone frame. 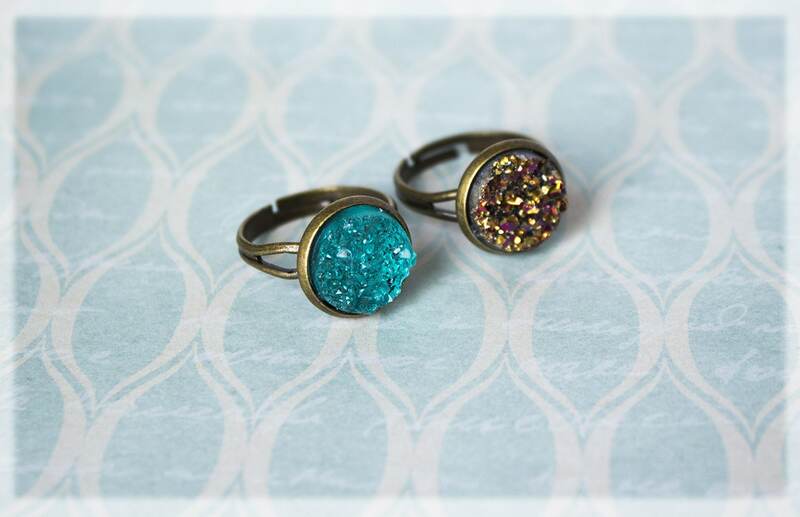 Shimmering iridescent colours that remind us of the sparkling Coral Reef, these little rings would make a perfect gift for any mermaid fan! 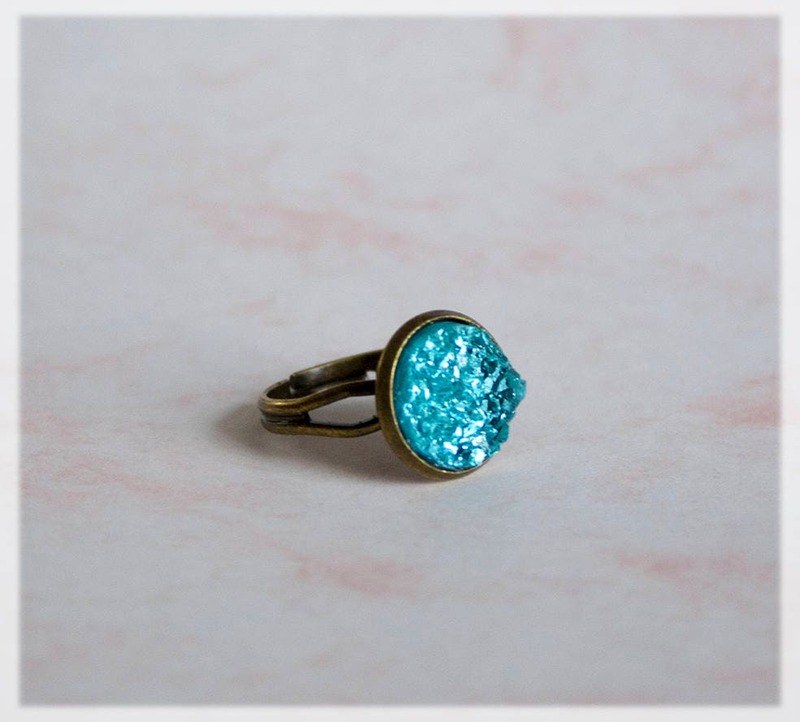 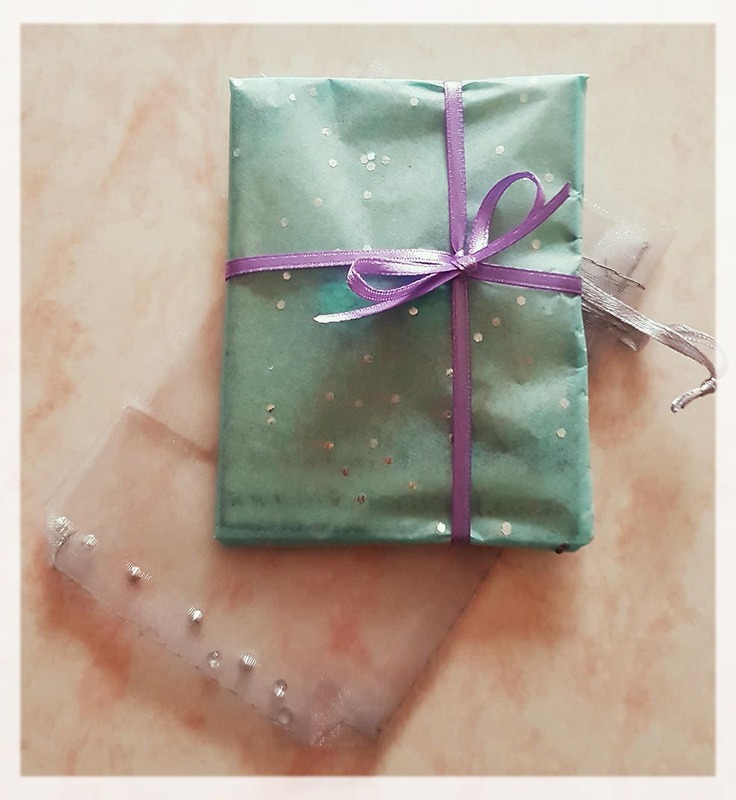 Dainty and vintage style, this would be great as a gift or to treat yourself with an unique mermaid ring!